"Working with Nick made buying a home easier and more gratifying than I could have ever hoped for. He turned all of our fears and questions of buying a home into the best decision we ever made! Thank you, Nick! :-)"
"You will not find a more sincere, professional or knowledgeable Agent than Nick Udell." "Don't assume anything, and don't hold any questioins back. Nick U. will find the answers and wants the experience for the buyer and seller to be great." "Very personable and gives pertinent information for a quick transaction." "Nick is fully engaged, on point and well rounded with useful information. Nick obviously enjoys accurate analysis, creating an urgent strategy with contingency planning." "Nick was awesome! He truly understood the market and how to sell our home. We will never use anyone other than Nick." "Nick did a great job for us, and we would recommend him to our family and friends. Nick is very professional and completed our sale with a great outcome." "Nick helped us to buy and sell. He made the transition from moving from my existing home to my new one seamless. He is very knowledgeable. His assistant was awesome as well!! 100%"
"Nick was fantastic to work with in a difficult situation of being in the position of selling my mother's house long distance. I put my faith in Nick Udell and his team and they were extremely helpful, polite and saved us time and energy. Thank you, Nick!" "Great folks to work with. He kept me informed throughout the buying process. He always answered the questions that I had." "House sold quickly. Nick helped us price it right, explaining well his market evaluation. Very responsive, knowledgeable about market and reassuring through entire process. We couldn't have been more satisfied. Christina handled many parts - very professional and personable. "Excellent Service. Nick worked with me to have a successful sale. I could not have made the sale without him." "Nick Udell was awesome. He made a big effort to protect me during this transaction. He even made several site visits to check on things, too. Great guy! I highly recommend Nick." "Nick is a really honest guy and goes the extra mile. We would definitely use him again." "Thanks Nick for the great service! Quick sale and for top $$$$." "Willing to work hard for seller or buyer. Personable, Honest, Credible." "He goes way above what he does. I already recommended him to friends. He is excellent at what he does!" "Yes! Really enjoyed working with Nick. Consider him a friend and new family member! Excellent employee you have! He has an open invitation to our home." "Working with Nick made buying a home easier and more gratifying than I could have every hoped for. He turned all of our fears and questions of buying a home into the best decision we ever made!! "Excellent experience working with Nick as first time home buyers. Not only would we use him again if we ever needed to, we have & will continue to recommend him to friends & family." "Nick Udell went above & beyond in helping me prepare my home for sale. He was in constant contact & walked me through every step. Fantastic job!" "I would highly recommend Nick to anyone considering buying or selling a home. It was a pleasure working with him." "He was very friendly and passionate about finding first-time buyers a home because he was once in our shoes. He can honestly prepare any family for a home that suits their wants and needs. THANK YOU, NICK!" "On a scale of 1-10, using Nick Udell for our realtor was an 11!" "Nick made our home buying and selling experience most enjoyable. He is very responsive and takes his job seriously. Throughout the whole process, Nick maintained excellent communication and made the process look easy. I would definitely use Nick again as my agent." "Nick did his job as professional and did it well keeping a sale from falling apart which is more than I can say for Chase and the VA. Whenever we needed to see "the house" Nick was right there for us. Out of town family members were no exception, Nick showed us this home so many times that our 2- year-old granddaughter called this "Nick's House". We had 20 plus years of accumulated stuff to deal with and what we did not clear away for an open house, Nick helped our Son load it up and take to storage. We were out of town at the time of our first open house, and Nick had done such a fine job that the first couple to view the house ended up buying it within the first week of listing." "Nick is very friendly. He knows the Yakima market well and answers phone calls promptly." "Nick was there at the start and even once his job was done, went out of his way to ensure we were taken care of on anything we needed help with. What started out as our realtor has now become a friend. When it comes to buying or selling a home you won't find a more trustworthy person in the valley. A pleasure to work with, and someone we're proud to have come to know." "Nick did an awesome job helping us buy our home. As many know, buying a home is a process and has many different challenges that arise during the processes. Nick met and exceeded all the challenges with outstanding knowledge and supported my family through each challenge in a timely manner. Nick is very knowledgeable & trustworthy in his profession. I would highly recommend anyone who is looking for a home or property to buy, make him your first call & save yourself some time! Thank you Nick!" "Nick is an amazing realtor that helped us along every step in the process as first time home buyers. He was always prompt in responding to any questions or needs we had, and was patient and knowledgeable when answering all of our questions. I have already recommended him to several friends and colleagues looking to buy a house and will continue to do so as long as he is a realtor." "From the beginning, Nick was professional, knowledgeable and easy to work with. I appreciated that he maintained communication with me throughout the selling process. His value of integrity shined through!" "If you really want to sell your house, go with Nick or Yeimy. The process of selling our home was quick and painless. They made this experience of selling our home amazing!" "Nick was very helpful at finding help to get things updated in the house prior to putting it on the market. He checked in often during the process and made the paperwork easy. Nick was great to work with. He's a great communicator and responsive to our questions." "Absolutely found Nick by accident when requesting info on a listing I found online. He was so patient with all my text messages and always answered immediately. So nice and a pleasure to work with. "Nick was very professional and knowledgeable regarding the market. He gave great advice. He said the house would sell fast and it did! He did a great job for us." "We recently worked with Nick to sell a home in Zillah. He was extremely professional, personable and honest. While we were deciding if we wanted to sell he did not pressure us and discussed the pros and cons of each option. Once we decided to sell he was very attentive to detail and gave great advice. Everything he told us was spot on and he was great at staying in touch. He said the house would sell quickly and it did! 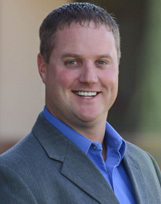 We highly recommend Nick to anyone needing to either sell or buy a house in the valley! He makes the whole process very simple." "He (Nick UDELL) was great. He kept in contact with us through the whole process & even after the closing date. Was knowledgeable about the USDA process and helped us through all the channels. Overall it was a great experience. We will use Nick in the future!" "Mr. Udell will go above and beyond to do what it takes to get the best results for any and every family or person in general. Very respectful and to the point! Thanks again for allowing Mr. Udell to handle my home." "Nick was great in all aspects. He was personable, thoughtful and knowledgeable. There were several obstacles that we faced but Nick was right there to keep us on track and not lose faith that the selling of our house would still happen. We recommend Nick to anyone who needs a realtor. Thanks to him we are on to the next stage in our lives. Great job, thanks Nick."